you might be surprised to discover that your neighbor's fence—fashioned of unusually aged wood and adorned with certain attractive knots and artfully crackled layers of antique paint—is by far his most prized and valuable asset. Remember the woman who sued McDonalds over hot coffee? Heaven help the insurance company that goes before a jury! In any case, so far as premium pricing is concerned, the point is that even well-established products may not have accumulated a long enough list of successfully closed files to take the guesswork out of the pricing process. 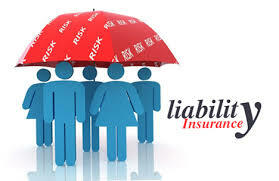 The third and fourth factors in insurance pricing are company expenses and investment income. Like most organizations, insurance companies try to find places to cut costs. Yes, premiums sometimes pay for corporate jets and beautiful offices, but in general not so often as to have any real impact on average premium rates. In fact, there is a fairly clear inverse relationship between the opulence of the home office and the long term health of an insurer. Selecting a new carrier? Ask for an office tour. Investment income certainly has an impact on premium levels. Simply put, the more money the carrier makes by investing your premium, the more they can reduce your rate. Medical Malpractice is a good example: most cases are litigated over years, and the effects show up in the premiums. 0 Response to "A Little Story About Liability Insurance"